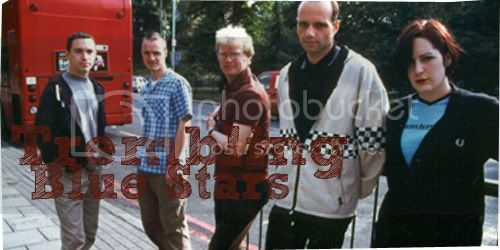 Growing up, I remember being surrounded by the glazed, stripped-down, gloomy waves of 80’s pop tunes; I have a hidden penchant for these songs and that I managed to find in the wonderful works of Radio Dept., Saint Etienne, and lately, the Trembling Blue Stars. Having formed in 1995, The Last Holy Writer is their seventh release to date, comprising of songs that are consistently gorgeous melodic arrangements surrounding some seriously downtrodden lyrical content. ‘Idyllwild’ proves to be one of their best pieces out of the album, unearthing beauty through themes such as misery and despair. For those who are curious enough to find out exactly how the song sounds, it would be suffice, if not safe to say, that it’s emotively detached guitar pop reminiscent of '80s balladeering. I find refuge in songs like ‘Idyllwild’; songs that are superbly crafted for the morose, combining idyllic melancholies with sleepy, barely melodic vocals. Closing up this part of the post, are more fitting expressions to the song; ones that could hopefully help you change your mind. Surmising the feel of this beautifully depressing legacy is the breathtaking second track, “Idyllwild,” which engages in a nearly celebratory indulgence of disappointment.